Welcome to the CARS for SALE and CAR PARTS for SALE section where you can advertise your vehicle or Car Part for FREE until sold. You can also upgrade your CARS FOR SALE listing to a Premium advertisement for just $9.95 or upgrade your CAR PARTS FOR SALE listing car parts to a Premium advertisement for just $4.95. 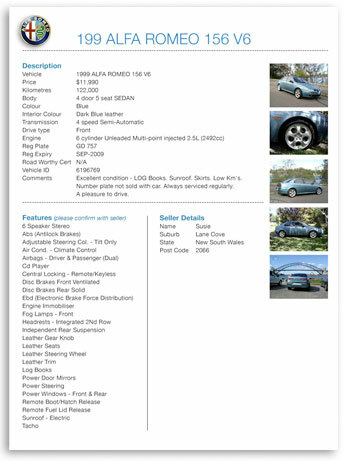 A standard advertisement to sell your vehicle or Car Part is FREE and you can place one (1) photograph of your Vehicle or Car Part on your listing. 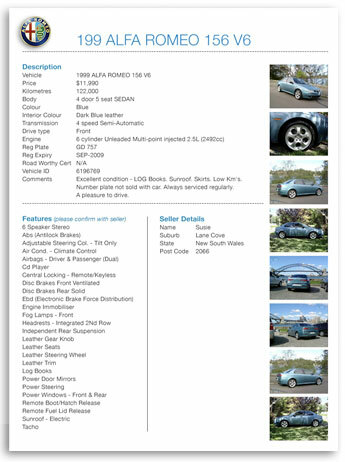 you can sell your Car Part with a Premium $4.95 Advertisement with up to 8 photos of the part you are offering for sale. NB:Your PREMIUM LISTING is also highlighted and appears on the top section of the Search pages. 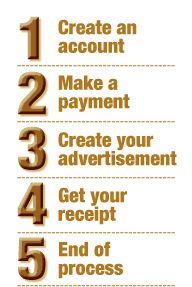 To advertise you must first register your details and create an account on our website. Once your are Registered you can then LOG-IN and create your FREE Advertisement or create a GOLD or PREMIUM Advertisement with your payment.